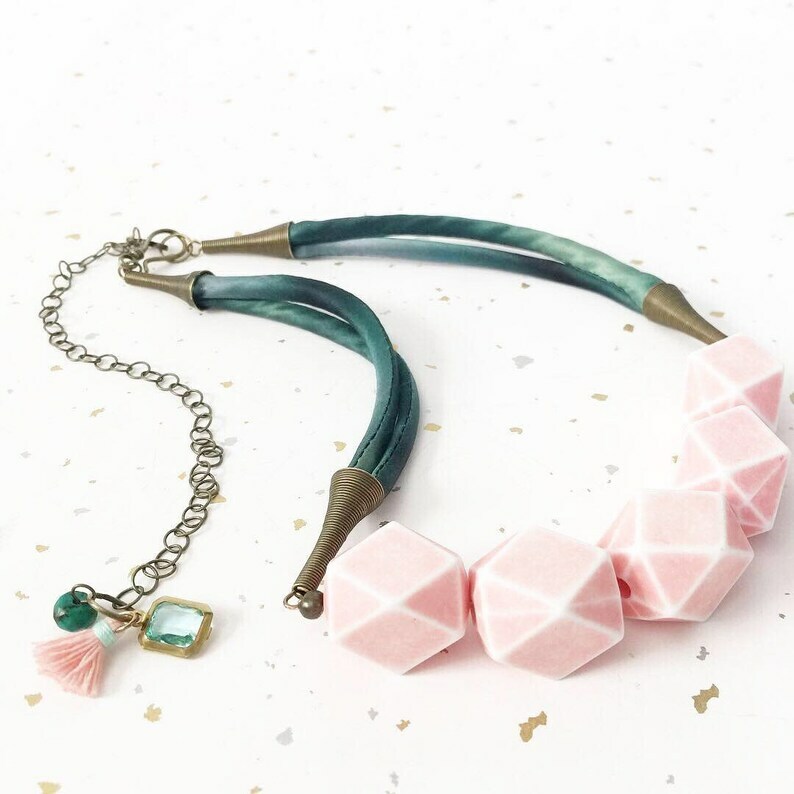 A beautiful statement piece, this necklace is made with chunky pale pink vintage resin beads and hand-dyed, hand-sewn silk cord in teal tones. Adjustable length for versatility from 17” short to 27” long. Metal accents are antiqued brass, finished with a hook and eye clasp. There is a pale pink tassel, aqua glass and turquoise gemstone at the end of the chain that runs down the back when worn short for a pop of fun. Extremely happy with my purchase, the necklace was even more beautiful in person! Quick shipping and came with a personal thank you note explaining the origin of the silk and the beads used to make my unique piece. Would make a great gift or a nice treat for yourself!